This gentle cleanser is the balm. Whisk away the wrinkles of time along with all traces of makeup, dirt and dullness for soft & smooth, bright skin. · Perfect for a quick clean or super-hydrating 10-minute mask. · Rehydrates & refreshes mature skin. · Minimizes pores and lines. · Includes microfiber cleansing cloth for a deeper, soothing clean. · All-natural and chemical-free vitamins and essential oils. 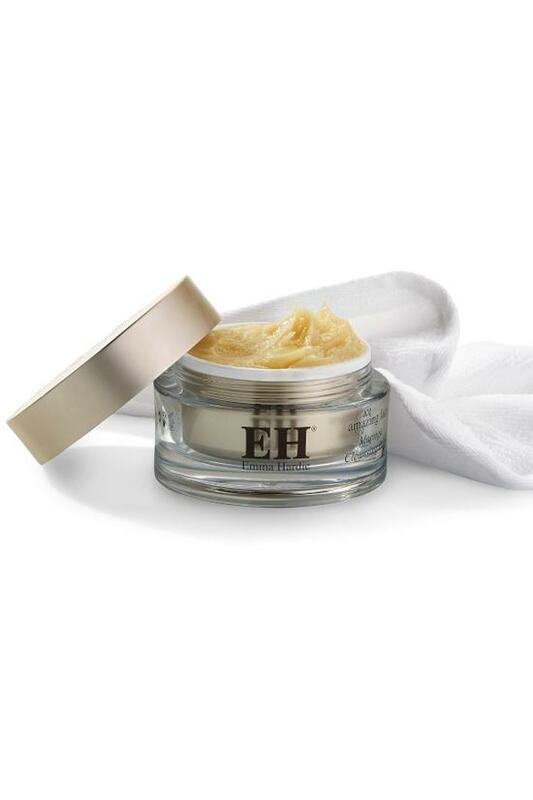 · Holistic anti-aging skin care from UK facialist Emma Hardie. Take a hazelnut size amount of balm and massage into your skin using the Emma Hardie 'Lines Not Circles' technique. To remove, soak the dual action cleansing cloth in warm water, squeeze out the excess and gently wipe over the face and neck, taking care around the delicate eye area. A pioneer in natural healing and skin rejuvenation, celeb-fave Emma Hardie is considered the most accomplished facialist and holistic anti-aging specialist in the UK. Her award-winning Amazing Face skin care line pairs targeted, power-packed botanicals with a unique application technique for firmer, brighter skin free from invasive treatments or harsh chemicals.